Good quality oral health care involves much more than only brushing your teeth twice a day. In order to maintain good health of your mouth as well as teeth throughout life, you must follow few steps. You must comprehend you oral health requirements and fulfill them accordingly. Talking to your dentist or hygienist regarding specific conditions in mouth and the ways in which your oral health or teeth can be affected by your overall health or medical conditions. 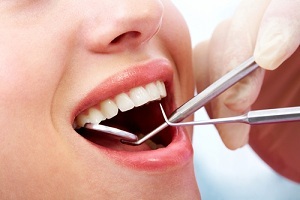 For instance treatments related to cancer, heart disorders, pregnancy, diabetes or dental devices (braces, dentures) can have an impact on your teeth and gums and may require some changes in your regular health or in any kind of treatment you have been taking from the time of your previous dental visit. On the basis of the discussions with the dentist and hygienist and taking in to consideration your unique regular health as well as oral health conditions, you must inculcate a routine meant for your oral health which is easy to stick by on a day to day basis. The use of fluoride is beneficial for both adults as well as children. Fluoride helps in strengthening teeth in children and it also prevents decay in tooth. Mouth rinses and toothpastes contain fluoride. The level of fluoride in tap water is very low. It does not help in preventing tooth decay. Brushing teeth twice a day-morning and night and floss is necessary to maintain proper hygiene. It is even better to brush post every meal. These activities help in removal of plaques which if kept that way, comes together with sugar and forms acids which leads tooth decay. Bacterial plaques cause diseases in gums. You must include different types of food in your diet but limit the intake of sugars as well as starches. Foods with high amount of sugars like cookies, candies, cakes etc produce acids in mouth which initiate the process of decay. Smoking cigarettes or consuming tobacco products adds to the risk of oral cancer and cancers related to esophagus, pharynx and larynx, gum diseases, leads to bad breath, discoloration of tooth and intensifies other oral health problems. It is very important to examine your mouth on regular basis and update yourself with any change in the appearance of your teeth or mouth. Also visiting your dentist at least twice a year is recommended for maintaining your oral health. The state of your gums and teeth expose the inner story of your health on the whole. Therefore it becomes necessary to maintain the health of your mouth and on a daily basis.